I bought a few dog toys recently and decided to share with you, and to host a giveaway. Nothing complicated here, just follow @bark4treats on Twitter using the Rafflecopter form below and I’ll email the winner asking for their postal address. Entrants must have a U.S. mailing address to win. One qualify entry will be selected at random at the end of the giveaway period and the winner will be contacted within 24 hours. If they don’t rely within 24 hours, another qualifying entry will be chosen. Update: This giveaway is now over. Congratulations to Lisa R! Your package is on the way! We are paid subscribers to the monthly toy and treat boxes from BarkBox. Each month they ship two toys, two bags of treats, one edible chew, and an activity. This month was Knights of the Hound Table. In addition to the cutout crown for your pup to pose in, there was a Mad Libs style adventure story, and -probably the most fun- an interactive ‘battle’ where you can choose your own adventure! It worked by starting your mission by texting QUEST to 79987. From there you reply back to the texts and take on dragons, joust with knights, and save the day. There are several missions so keep texting back. This entry was posted in Uncategorized on January 21, 2018 by dexterkelly. November’s BarkBox included a fun recipe for Homemade dog treats. Titled Protein-Packed Peanut Butter Mini Donuts (recipe on BarkPost through the link) the treats are very easy to make, look great!, and certainly passed the (many) taste tests. The recipe has just seven ingredients (flour, egg, baking soda, milk, peanut butter, carob powder and water). Mixed together, the dough is quite stiff. The recipe recommends using two spoons or a pastry bag to fill the mini donut pan. My Ziploc bag with the corner cut out wasnt strong enough and the dough popped through, so I reverted to using spoons. I doubled the recipe, and in three amout of time the first pan of donuts took to bake, the remaining dough had risen so the second batch was fluffier than the first. Rather than create a mess by drizzling the carob-water glaze on the donuts, I made the glaze thicker and dipped the donuts in. This gave me the classic donut look without glaze being all over them. This entry was posted in Uncategorized on December 10, 2017 by dexterkelly. Today is National Ride The Wind Day, a carefree day near the end of summer to kick back, let the breeze through your hair, and float above the clouds. Dogs can celebrate this day in their own way, literally, by floating through the air, using their skills to help their fellow animalkind. National Geographic has this coverage of skydiving dogs in Africa. 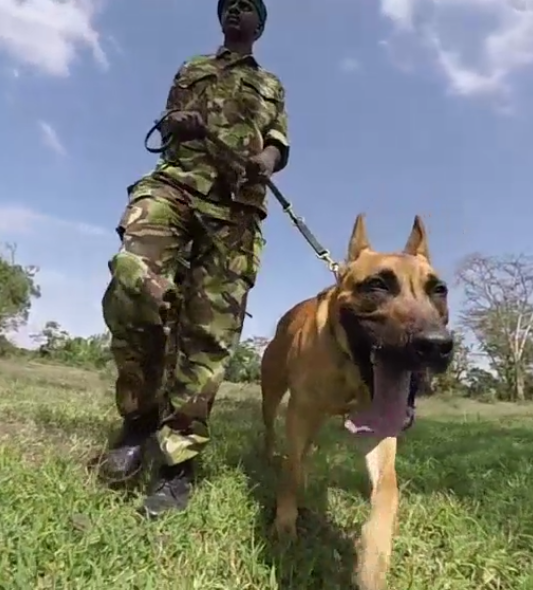 Partnered with a handler, they float down from a plane then begin pursuit of poachers, mostly of ivory. Take a second today, kick back and enjoy the fresh air, pet a puppy, and read this inspirational article. This entry was posted in Uncategorized on August 23, 2017 by dexterkelly. Browsing Amazon today I found this contraption; a home pet spa. Solving a lot of the frustrations of bathing dogs, the Pet Spa features a hand-held wand for reaching those ‘hard to wash’ areas, the side mist jets help ensure a thorough rinse, and the tall sizes help eliminate you from getting soaked by a shaking dog! It has a connection to your plumbing and a flexible drain hose. It also features an adjustable platform to fit dogs of all sizes! It just goes to show, you can find anything on Amazon! This entry was posted in Uncategorized on July 4, 2017 by dexterkelly.